There was a drastic reduction in the number of beans exported from Uganda to Kenya, this is mostly due to reduced beans sales as there is plenty of food in Kenya, which is Uganda major commodity export market. 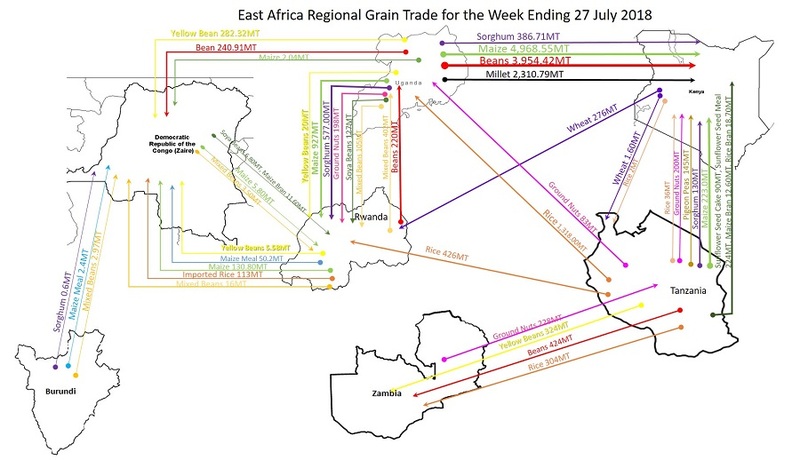 Uganda increased its export of Yellow beans (282.32MT) to DRC, from zero the previous week. Tanzania’s increased its Rice exports to Uganda to 1,318MT, and did not export any beans to Uganda, a confirmation of decreasing beans demands within the region.